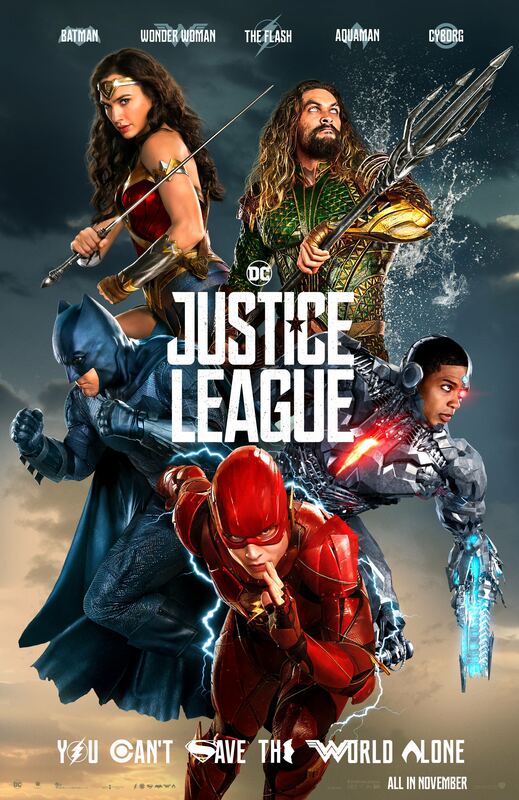 The official Justice League UK Twitter account just released a brand new poster for the movie. This time The Flash is front and center, with Batman, Wonder Woman, Aquaman, and Cyborg featured around him. The poster features a lot of color. Even Batman has blue highlights, despite his suit looking much darker in all of the footage we’ve seen. What do you think of this new Justice League poster? Let me know in the comments below.